The Chrysler 200 is all new for 2015 and has more style and features than ever. Come see it in the metal at Sulphur Springs Chrysler Dodge Jeep Ram in Sulphur Springs, TX and see how great an American midsize sedan can be. 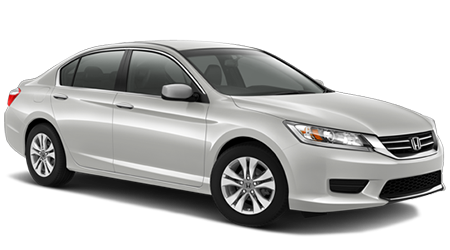 The Honda Accord for 2015 is still based on a model that debuted several years ago, with few changes, and next to the 2015 Chrysler 200, it just looks old. The base model of both of these cars come standard with an efficient 4-cylinder motor, but the 200 scores 2 more mpg on the EPA highway test. A big reason for that is because the Accord’s CVT automatic transmission is an extra cost option, while the Chrysler 200 comes standard with a 9-speed automatic. With the continuously variable transmission, they get the same highway mileage. Opt for the powerful V6 motor and the 200 has 17 more horsepower, and 10 lb-ft more torque. The Chrysler 200 also offers the option of all-wheel drive, which is not available on the Accord. Both of these cars are plenty safe, with all the airbags you could ever want. The 2015 Chrysler 200, however, scores better on the NHTSA Front Driver and Passenger Crash Tests, earning 5 stars. The Honda Accord gets 4 stars in both of those tests. This is why the 200 has a 5-star Overall Frontal Crash Safety Rating, and the Accord only gets 4. With better drivetrain options, better crash test scores, and a better warranty, obviously the 2015 Chrysler 200 is the better car, and wait until you see how much better it looks. If you live in Tyler, or Greenville, TX, drive on over to Sulphur Springs CDJR and take one for a test drive today.